Why Can’t Link Be a Girl? There’s no secret around here that I’m a bit of a geek. Most nights I’m perfectly happy playing my favorite game or curling up for a Netflix marathon. During the last few months there has been much controversy concerning one of the most iconic characters in video game history, Link from the :”Legend of Zelda” franchise. At last year’s E3 conference (June 2014) fans were given a small taste of what was coming up for our favorite hero from Hyrule. The event left many in the gaming world excited while enraging others. 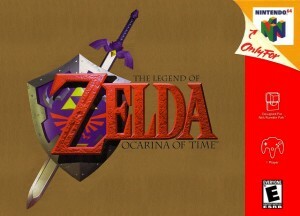 The outrage did not come from changing core gameplay elements such as making the Legend of Zelda a more open-world experience or overall design. Instead, the internet was set ablaze due to the simple fact that Link seemed to be a female or have feminized characteristics. Nintendo HQ was quick to respond saying that Link is without question a boy. Many feel that Nintendo’s rigid stance on the issue illustrates their fear of alienating their male dominated audience while others in the gaming industry have admitted that a fresh take might be in order. In fact, Legend of Zelda Series Producer Eiji Aonuma has gone on record saying that he’d be open to a game with a female Link if it meant more women played the games. 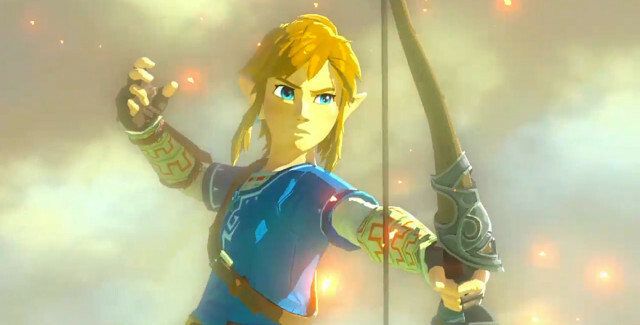 While its official that Link will continue to be male, would a female Link work in a Legend of Zelda game? Would male gamers be so upset that they wouldn’t play? The good folks at PBS Game/Show recently shared a Youtube video discussing the topic. Check it out below! In the video, they examine why many have taken such distinctly opposed sides when even the possibility of a female Link rears its head and how this gender change could potentially fit with the popular franchise. Link has always been on the androgynous side and historically, the Legend of Zelda Franchise has done a pretty good job featuring strong female characters as part of the origin story and beyond. In the Nintendo 64 release, The Legend of Zelda: Ocarina of Time we even witnessed a transformation of Princess Zelda as she assumes the role of Sheik. This transformation allowed us to see Princess Zelda in a new light. In this classic game she was more than capable of taking care of herself and played an active role in saving the day. Next, they look at how Link has been portrayed over the years and the wide variety of art styles used to tell his tale. Link is considered to be an “Honorific Character” that is often re-imagined versus a “Single Character” who are often portrayed the same from title to title. Mario is an excellent example of a Single Character since no matter what he always looks like Mario. This makes me think what a female Mario could look like and it make me shudder a little. Unlike Mario, Link’s appearance has changed quite a bit over time and not simply due to better technologies and improved graphics. Finally, lets examine how Link becomes the hero of Hyrule or more accurately, “The Hero of Time”. The Hero of Time is a hero of destiny that is called upon to right wrongs and set the world back on it’s intend path. In a Kingdom where this could happen multiple times or under an alternate reality why couldn’t Link be a girl? Controversy or not, I’m looking forward to getting my hands on the Legend of Zelda for the Wii U later in 2015. What are your thoughts? Remember you can really get a conversation going with GirlfriendsMeet Interest Discussions. Head to the GirlfriendsMeet Video Game Page and make your voice heard or find that 2nd player you always wanted! This entry was posted in Fun Stuff and tagged Legend of Zelda, Link, Link as a girl, Nintendo, video games by Steph. Bookmark the permalink.